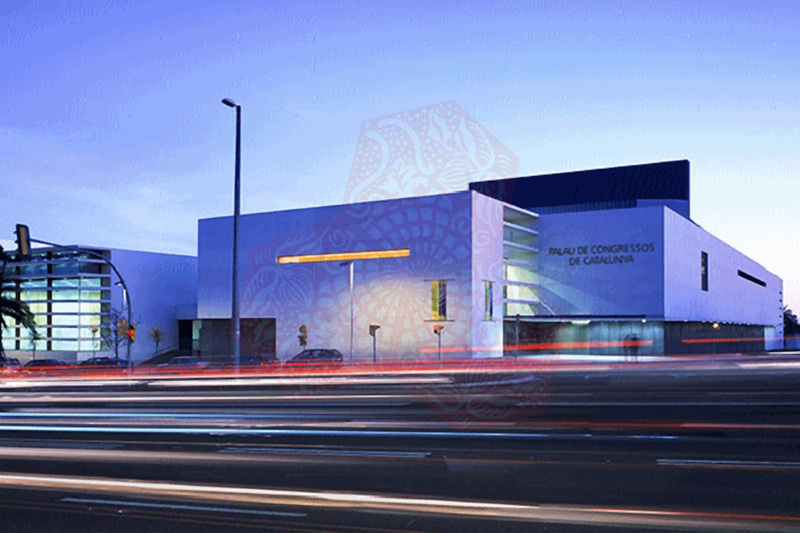 Use the form below to contact cruise Palau de Congressos directly. 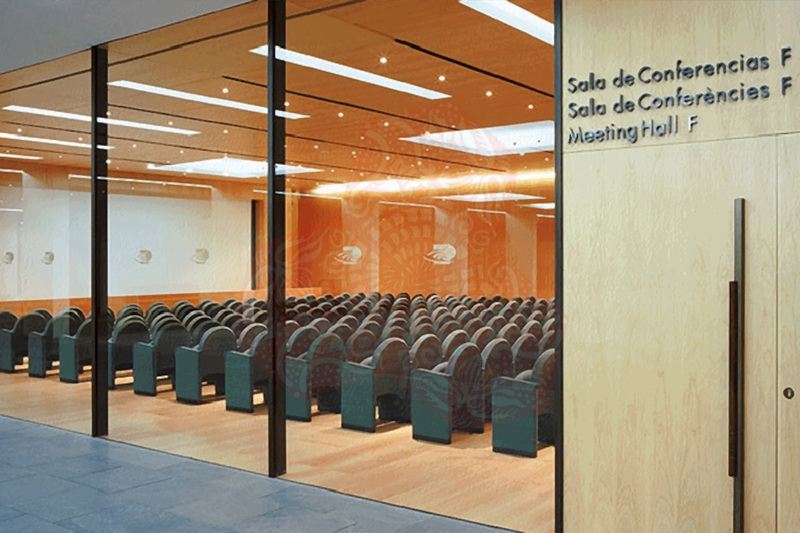 Situated on Avenida Diagonal de Barcelona, one of the city’s most important financial and business district, the Palau de Congressos de Catalunya is a premium Barcelona meeting venue to host meetings, conferences and events. Part of the Hotel Rey Juan Carlos I-Business and City Resort, the venue boasts 35 halls and rooms, from small intimate lounges to large scale exhibition areas to banquet facilities for up to 3,000 guests. All guest enter through the Main Hall, a bright and spacious area featuring a grand tapestry by the famous Catalan artist Juan Miro. 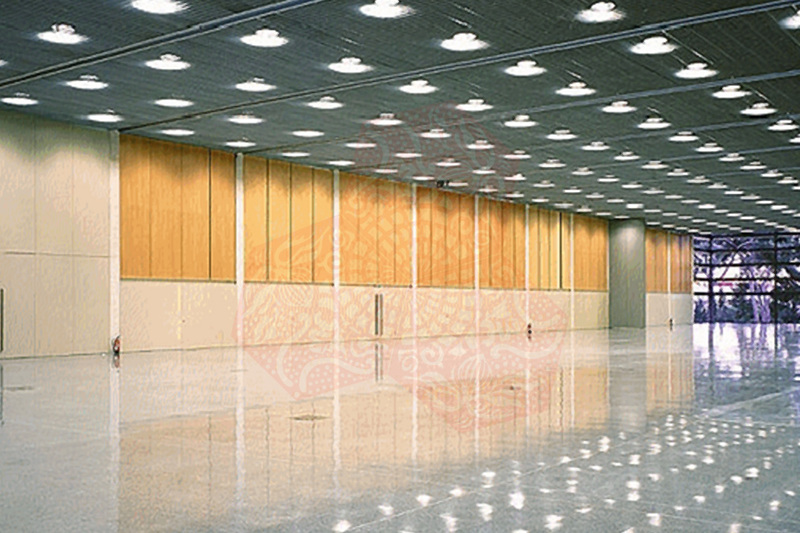 Among the venue’s facilities are the Main Area and Hall, with 1,500 square meters of space; the Exhibition Hall, with 2,050 square meters of space divisible into two sections; and the 2,027-seat Auditorium, the largest available space in the venue. Several smaller meeting rooms, ranging in size from 26 square meters to over 200 square meters, are also available. The Grand and Historic Gardens of the prestigious Hotel Rey Carlos I can also be hired for exterior functions. 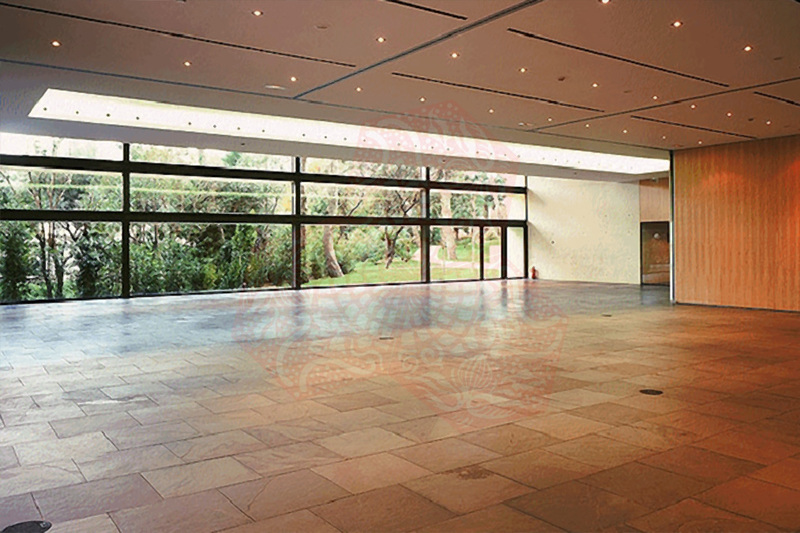 Its outdoor Barcelona meeting facilities are accessible directly from the Palau, the 19th century gardens cover 25,000 square meters in surface area and has two marquees available for large celebrations. 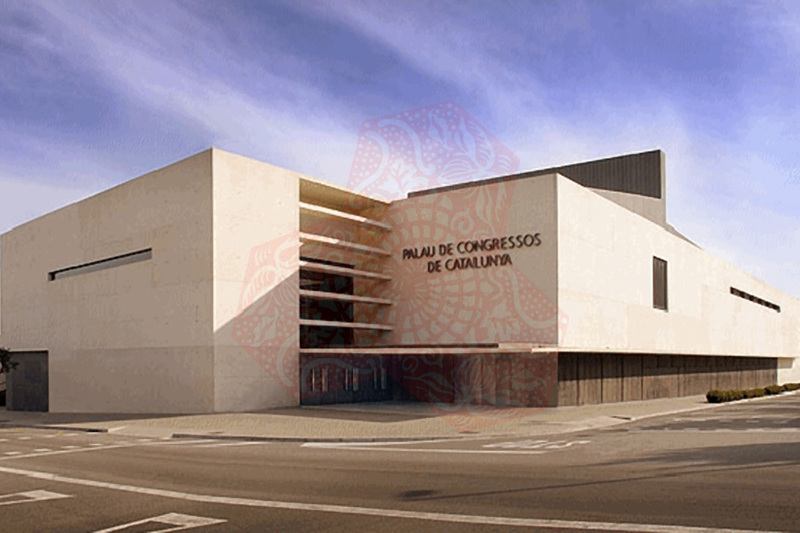 Barcelona’s Palau de Congressos de Catalunya is fully equipped with state-of-the-art technology and provides broadband Internet access and wi-fi for over 1,000 users simultaneously. From the 3,000-square-meter kitchen, Barcelona Solutions can craft menus for business lunches, champagne receptions, coffee breaks and more. 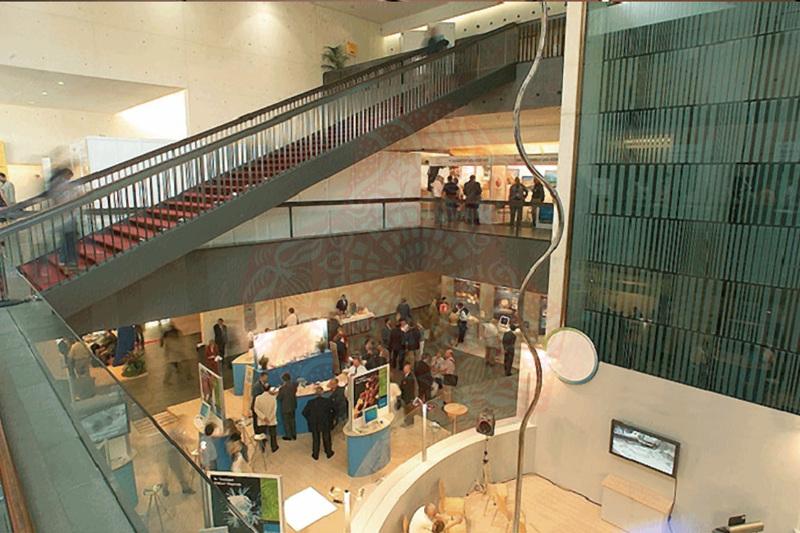 In-house audio-visual services, parking for up to 250 vehicles and two business centers are among the other amenities at the Palau. If canceled or modified up to 7 days before date of arrival, no fee will be charged. If canceled or modified later, 50 percent of the total price of the reservation will be charged.